A House is made of bricks and beams, A home is made of love and dreams goes a well-known saying. How true! However, with the prevailing trend of flat system there is a rising gap when it comes to fulfilling the dream of maintaining ones lovely home in a beautiful, classy and comfortable manner. We, at Raj Handicrafts, are trying to address this need through our well designed, compact and quality vintage furniture and decors which are time-tested as well pocket friendly. Deeply rooted with generations of skilled workers who mastered in the art of furniture making with carefully chosen sheesham woods Raj Handicrafts as it was started, slowly spread its business by opening factory and showrooms in Sardarshahar, a town in Churu district of Rajasthan which has now outspread to the e-marketing field through this website www.rajhandicraft.com. 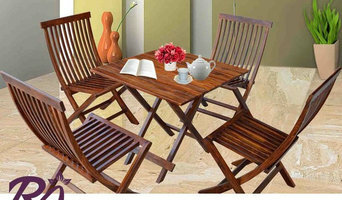 INDISKIE ART DECO is an Established Furniture Company specialized in Manufacturing Wholesale & Retail Furniture. We have an extensive range of Industrial / Vintage / Reclaimed / Traditional / Upholstered / Modern / Antique Style & Leather furniture. Profile deals extensively worldwide and supplies both the Retail, Wholesale and Designer markets. We have been a family business owned and operating in Jodhpur, India for over 12 years committed to producing furniture of the highest standard. We uphold traditions of excellence in design with absolute commitment to quality. INDISKIE ART DECO presents its collection of Almirahs, Cupboards, Dining Tables, Consoles, TV & Entertainment Unit, Bookshelf, Ottomans, Sofas, Chairs and many more products that combine simplicity of style great comfort and inspiration for Worldwide Interiors. Manufacturer & Exporter. we supply handicrafts goods to many countries. 1 BHK creates "functional art" - quirkily designed pieces for homes sized XXS to XXL and beyond. Its constantly evolving range is full of fun pieces in cool colours, and features collaborations with the most exciting upcoming designers and artists. Whether you're decorating for a cosy studio apartment or a mansion (lucky you! 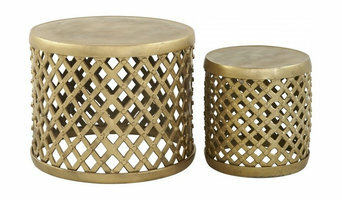 ), these eclectic but hardworking pieces will look right at home. Mantra gold coatings is a one-stop shopping destination for your dream home. 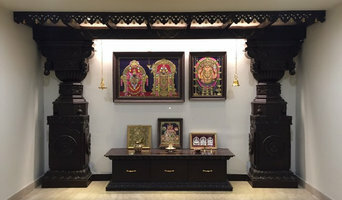 We offer Home decor(Murals, wall art, grills, door nobs, mirrors, etc) Gifts, Custom made Pooja mandir and Pooja room accessories. Neerja Jaipur Hand Made and hand painted Jaipur Blue Pottery. Ceramic Tiles, Pottery Knobs, Blue Pottery Lamps, Wedding and Corporate Gifts. Neerja International Inc. was the first company to successfully make beads, door knobs, necklaces, pendants and other small utility items in Blue Pottery. Tiles, bathroom fittings and other items designed by the company are being used regularly by the Taj and Oberoi Group of Hotels across the country. Neerja International Inc. is currently running Blue Pottery units in the State of Rajasthan which employs over 1000 craftsmen – both directly and indirectly. Blue Pottery made by Neerja International Inc. is widely exported to France, U.K., U.S.A,, Japan and all over the world. 3M, the global innovation powerhouse in research and development and the pioneer of thousands of innovative products across diverse industry sectors globally, has launched in India a unique range of mounting solutions products offering firm holding power and damage-free removal. Based on the distinctive stretch- release adhesive technology ‘Command™ Products’ are the perfect solution for all household and office hanging requirements, as they help convert humble surroundings into ergonomic and spacious environments. The introduction of Command™ Products is designed to appeal to consumers who want unique and eloquent surroundings. With 3M’s Command™ products promising of mounting solutions with firm holding power and damage-free removal, there is a multitude of smart usage ideas across a host of spaces around the home or the office. 3M Command™ Products come in varied forms such as General Hooks, Metal & Decorative Hooks, Cord organizers, Picture & Frame Hangers and Command Strips among the rest. 3M Command™ Products offers damage-free ways to decorate organize and transform your spaces and events. Their unique patented non-invasive technology helps spruce up your surroundings for the long or short term. No wall damage, no residue, no unsightly markings are just some of the positive benefits of the usage of 3M Command™ Products. Transform your space into a beautiful oasis with Command™ Products, where the possibilities are endless and every wish is your command. India Circus Retail Pvt. Ltd. offers contemporary-chic, sophisticated, and affordable style for various areas of your life,from home decor to personal accessories. With an All-Indian palette, we draw our inspiration from both Mughal Royalty as well as road-side chai. We offer a diverse and distinct array of moods and tones, which we feel represents India. India Circus seeks to curate the essence of life in India, and transcribe this loud and colorful experience into contemporary and sophisticated style. From luminescent lamps to totes a la mode, we have a lot to offer for various corners of your life! The vibrancy of the colors combined with the nuanced heritage of the designs makes each piece created at India Circus exceptional. All of our creations offer sophistication with a dash of 'Indian-ness,' without draining your wallets. We are into customised furniture, carpets , cushions, rugs, and decorative lighting in India. We can deliver the products on PAN India basis. Josmo Studio is a Mumbai + Goa based collective that believes in transforming radical ideas into purposeful, beautiful products. A multi-disciplinary group of dreamers, we make and curate pieces from around the country to give you access to well designed products for your home. Our pieces are a blend of age-old artisanal techniques and new age design. Every piece has been handcrafted by an artisan who has spent years learning and perfecting their art. We are passionate about Indian craft and support artisans by working with them on every product we create. With an ethos of transforming thoughts into things, we pride ourselves on sharing pieces that are meticulously handmade in India with a strong focus on innovation. A young studio hungry for good design, we are a marketplace of ideas, design and products for dreamers, collectors and design fanatics. We also offer boutique design consultancy services for turn-key projects like Furniture, Lighting, Interior Spaces, Sculpture and Art Installations. 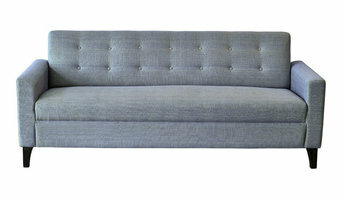 SIMONE - Naturally Inspired evokes an ethereal experience of luxury living. The store offers distinctive designs and sophisticated interior decor products in a natural and neutral palette of colors. Strategically located in a striking heritage building, Amerchand Mansion in South Mumbai and spread across two levels, covering 8000 sq ft of prime retail space that creatively showcases furniture, fine fabrics, artefacts, wall coverings, bed, bath and table linen, tableware, art, photography, outdoor furniture and rugs that are carefully conceptualised and curated into concepts of dining, living, lounge, bedroom and outdoor spaces. At SIMONE, luxury, style and affordability go hand in hand. The store is a fusion of contemporary chic and heritage charm. Auraz Design was founded in 2015 with the simple intention of challenging existing notions and ideas about home decor. Today, we are reshaping consumer ideas about the design of modern spaces. At Auraz, we are passionate about experimental decor. In our effort to extend our design services, we also undertake few bespoke residential and commercial projects. By collaborating with artists, designers and creators, we are consciously moving away from the mass produced implementation of design. Every home owner is unique, so should every home be. Gulmohar Lane allows for easy customisation of handcrafted products so that every home can borrow a little bit of their inhabitant’s personality.